Ed: This is the conclusion to the article that began yesterday, Lee Foster’s Ebook Publishing Revolution. Here we rejoin Lee on the third point in his article. If you are a writer or photographer thinking of publishing ebooks, one of the most important concepts to internalize is their layout simplicity, compared to print books. Print books, especially if heavy with graphics, require a fixed layout, which is a special skill. A type font must be chosen. The layout of text and photos for every page must be determined. Photos must be sized. The layout arts require perhaps a $2,000 investment for a book, such as my The Photographer’s Guide to San Francisco (Countryman Press/Norton, $14.95) and its parallel The Photographer’s Guide to Washington DC. By contrast, an ebook layout must be simple. An ebook must “flow,” with text and photos responding to the user’s needs rather than the publisher’s desires. A standard font, such as Times Roman, should be chosen because the user may select a different or preferred font style. The user may choose the size of font desired for viewing. Some viewing systems, such as Amazon Kindle, will have their own chosen font. Photos will appear sequentially, where directed, between blocks of text. Text will not “wrap around” the photo. The viewer may be looking at the ebook on a small iPhone screen or on a larger tablet, such as an iPad or a Kindle Fire, or perhaps on a regular computer screen. Because so few design choices can be made for an ebook, a simple Word file with photos inserted is the way many ebooks are delivered to the e-publisher. If a print book is set up in InDesign, it may be submitted in InDesign, but very little of the functionality of InDesign is actually used in the resulting ebook. I remember the day that ebooks of my two Countryman photo books finally appeared in the Amazon Kindle store and in the Apple iBook store. I had been urging the publisher for two years to publish my print books as ebooks, but the company was slow and reluctant to do so. They were heavily invested in the concept of print books and not too interested in ebooks. I bought a Kindle version of my San Francisco book the day it came out and looked at it on my computer screen. I was struck with its layout simplicity. I could see that Countryman had used the InDesign final version for the conversion to ebook, but I didn’t see this as preferable to submitting a simple Word file. When it came time, soon thereafter, to set up my independently published travel literary book Travels in an American Imagination (Foster Travel Publishing, $14.95 print, $2.99 ebook) as an ebook, I was able to address some of the issues. I decided to present my book to the e-publisher, BookBaby, as a Word file in Times Roman font. For example, I noticed that Countryman had kept some of the photos that were quite small in the print book at the same size in the ebook version. But why publish photos small in an ebook? In an ebook there is infinite space. Why not make each photo as large as a full page? I did that in my independent book. I inserted the photos in the Word file at the maximum size that BookBaby said would work, allowing for a caption. My vertical photos were about 600 pixels high. There are some aesthetic choices to be made in an ebook layout. For example, do you want the paragraphs to begin with a few spaces indent in long blocks of type, as in most traditional print book layouts? Probably this concept evolved so as not to waste valuable space in conventional print book layouts. Today, when I read the New York Times online, I see blocks of type, with the paragraph beginning flush left, and a line break space allowed between paragraphs. That white space is restful to my eyes. Although purists will say this is non-standard for books, this is what I chose for my ebook, partly because reading an ebook on a small screen device, as some will read the book, can be wearing on the eye without a line space between paragraphs. So, think simplicity when you are considering an ebook layout. And do think of an ebook for your writing or photographic content. With the iPhone showing color and tablets such as the iPad, Kindle Fire, Sony Reader, and Nook now all showing color, why not publish color photo books as well as text books as ebooks? Moreover, if ebook layout is so simple, and access to the market is so easy, and you can keep 100% (rather than perhaps 20%) of the net sale, what is the proper role, if any, for a traditional publisher? I remember the joyous day when my Travels in an American Imagination ebook version came out in the Amazon Kindle and Apple iBook stores. I downloaded a copy from both. My ebook looked good, especially on my iPad. The next step is pricing. Why am I selling my travel literary book at $2.99 and Countryman is selling both my two travel photo guides at $9.95 each in the Kindle Store and $10.95 in the iBook Store? Is someone making a pricing mistake? The pricing of ebooks is a critical issue. Views on what is the appropriate price diverge. Why have I priced the ebook version of my writing/photography travel literary book Travels in an American Imagination so low at $2.99? Why has Countryman Press priced the ebook version of each of my travel photo books The Photographer’s Guide to San Francisco and The Photographer’s Guide to Washington DC so high at $9.95/$10.95? Can both these views be correct? I doubt it. The comparison is interesting because the three books are all comparable books in the printed versions. They all have photos and texts. They all are nicely printed, about the same total size. All sell as printed books for $14.95. All were printed in Asia in quantities of 3,000 or more to get the manufactured price down to $2-$3. My book cost me $2.21 each when I printed 3,000 copies in China. One irony in this discussion is that ebooks may be priced quite low, yet may return to the content provider more than occurs with a printed book from a traditional publisher. Countryman pays me a 15% of net sale royalty for my print books with them. The books list for $14.95, but are sold on average at roughly 54% off, so net about $6.87. Of that I get 15% of net or about $1.03 cents. That is a normal print book contract. When I price my ebook at $2.99 and run it through BookBaby, I get 100% of a net sale, or about $1.50 after Amazon Kindle takes its 50 percent. Apple takes 30%, so I earn about $2. For my ebook I am the publisher and the content provider, with BookBaby as the facilitator into the ebook world. BookBaby can pay me 100% of the sale because ebooks are such simple structures and are easy to place in a selling system. BookBaby’s business model, as outlined above, is to earn from me a $199 fee up front and then a required $19/year fee in years 2, 3, 4 and on for my ebook. That’s where they see their long term profitability, in a longtail fee as a “non-predatory” publisher. Countryman ups my ebook royalty rate to 20% of net sale for ebooks, compared to 15% of net sale for print books. So I will earn about $1 from their net sale on Amazon of about $5 on a $9.95 ebook. When I can publish an ebook myself, with its simple layout structure, it is difficult to understand the rationale of working with a publisher such as Countryman in the future. Why not take 100% rather than 20% of the net sale? With a $0 manufacturing, shipping, storage, and inventory cost, ebooks have some distinct advantages. Without the need for huge capital to create the book product, one wonders what the traditional publisher is bringing to the ebook transaction. I wish I could say that Countryman and my other boutique royalty book publisher, Globe Pequot, are bringing marketing energy to the transaction. However, I am not seeing much marketing energy from them. What is the public’s perception of price on ebooks? The public wants these ebooks sold inexpensively. When you look at what is selling in ebooks and apps, $2.99 is considered a respectable price. The public understands that there is no replication cost. I think my $2.99 book will get some sales. I doubt that Countryman Press will get many sales at $9.95 or $10.95. Their $9.95 ebook price is far above the market, in my view. Scarcity is a factor in price. Perhaps you have noticed that there is no scarcity of ebooks. Quality, value, and brand identity are all factors in price. I think the unit price may be low, but the unit volume of sales may be high. Countryman would probably argue that I am destroying the market by pricing so low. I feel the market has fundamentally changed forever with ebooks. I look forward to re-visiting this subject a year from now to see how the issue of price has resolved. Who made the wiser price decision in marketing—Countryman Press or me? So, in conclusion, you have my perspective on the ebook publishing revolution. Ten years ago, who could have guessed that writers/photographers and musicians would be so closely linked in the market, that ebooks would have such a simple layout, and that price would be such a controversial issue? Lee Foster is a veteran and award-winning travel journalist whose work has won eight Lowell Thomas Awards, the highest awards in travel journalism. You can see more about Lee’s articles, photos, 10 books, and 4 apps on his website at www.fostertravel.com. Beyond ebooks, Lee has been a pioneer in app publishing. Thank you for your careful reading of the article. Some of my information was not correct. I will get 70% of the $2.99 list in both the Amazon and Apple iBook stores. I will get $2.09 per ebook sale. Great article, and very inspiring. I wonder though why Amazon only gives you a 50/50 split? 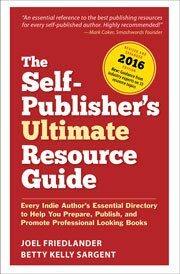 (“When I price my ebook at $2.99 and run it through BookBaby, I get 100% of a net sale, or about $1.50 after Amazon Kindle takes its 50 percent.”) That should be a 70/30 split for books prices from 2.99 to 9.99. I’m assuming your cut works out to 50% after they deduct download fees? (15 cents per megabyte). I’m pleased you find this article empathetic and helpful. Those of us who work with photographs and words will have new opportunities to flourish in the ebook era.